The Penthouse Suite is on the Top Floor of Wytonia. Enjoy the breathtaking views up and down the beach from the floor to ceiling windows. Explore our rock pools and lagoons, sit on your private balcony and read a book, or experience the sheer bliss of doing absolutely nothing - the choice is yours. With only limited cooking facilities - come for a holiday and experience Port Fairys' range of dining establishments. Wytonia 1 & 2 are fully self-contained downstairs studios with timeless interior. 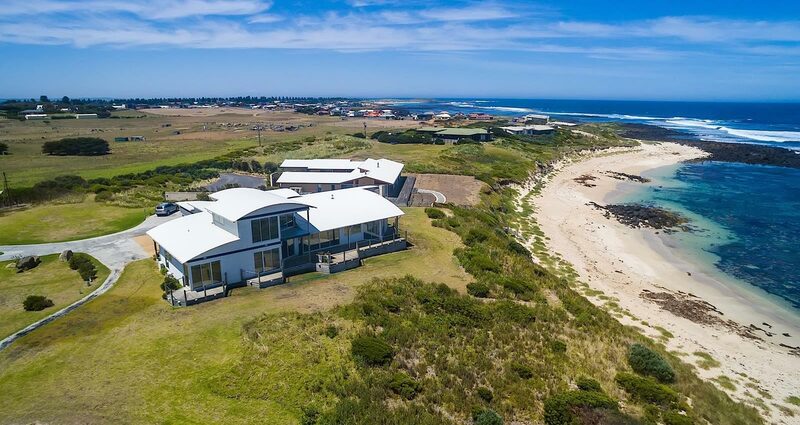 Distinguished luxury on the Southern Ocean, in Port Fairy, with spectacular ocean views from Julia Percy Island through to Griffiths Island.